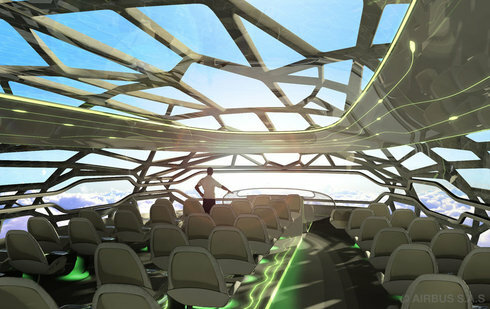 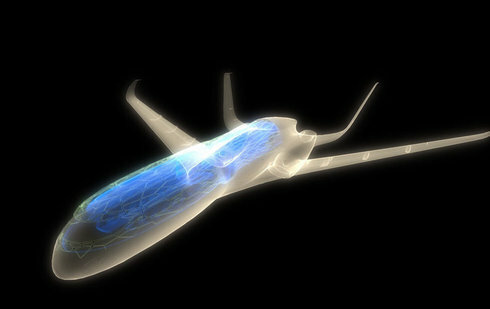 The airplane with a transparent cabin will be launched by Airbus in 2050. 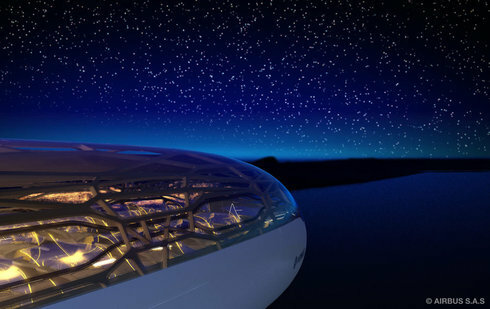 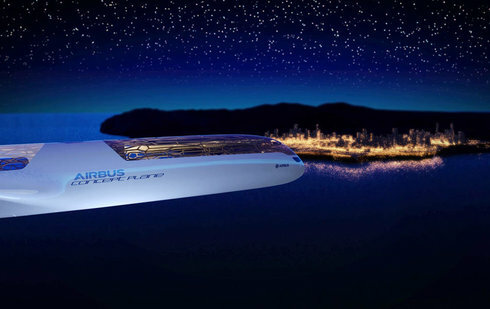 The see-through aircraft cabin will give passengers a beautiful view of the sky. 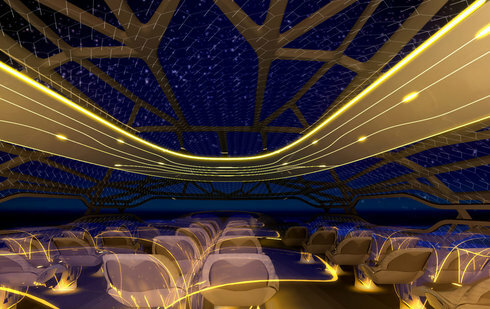 A bionic structure concept was applied to the cabin that 'mimics' the efficiency of bird bones. 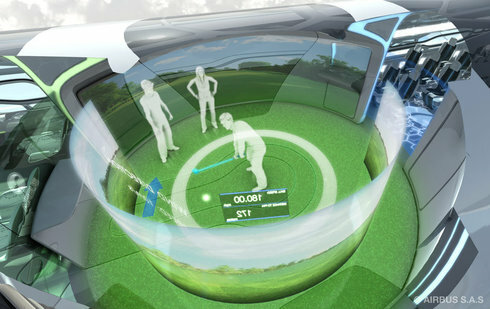 A virtual golf game may be added as an entertainment for passengers. 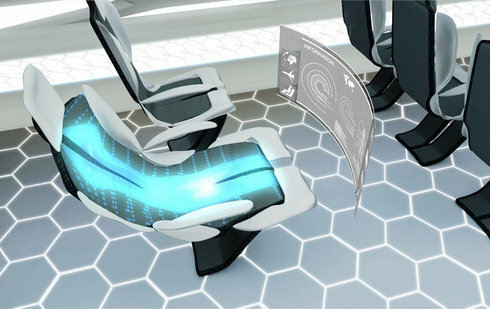 And the need for an interactive conference for executives will also be added. 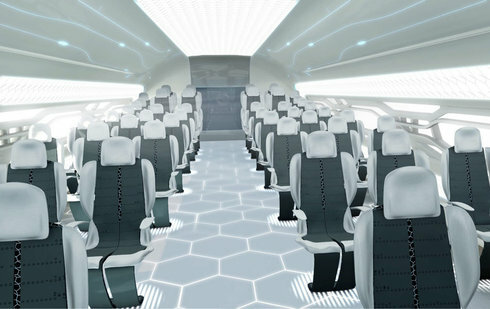 A virtual projection pop-ups in the 'interactive zone' which will bring passengers to the social scene that they want to be in, from holographic gaming to virtual changing rooms for active shoppers. 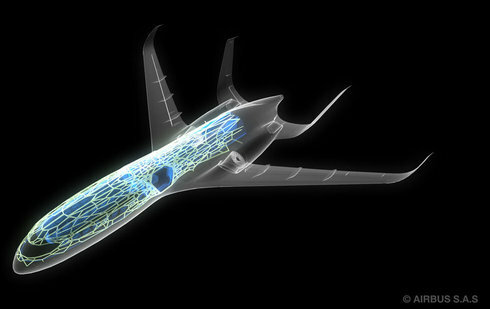 The 'smart tech zone' that Airbus describes as 'a chameleon-style offering'.